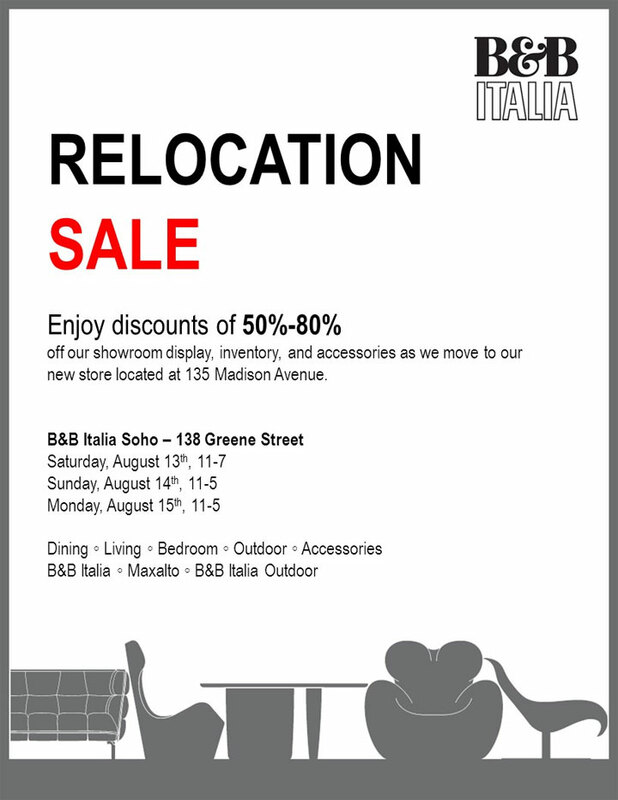 WHY: B&B Italia, the high-end Italian furniture brand, will be closing it Soho store at the end of the month. From August 13th-15th, it will be holding a major sale on its B&B Italia, Maxalto and B&B Italia Outdoor furniture collections. Enjoy discounts of 50% to 80% off showroom display furniture, inventory, and accessories as it moves to its new store located at 135 Madison Avenue.